Tune in as we have conversations and help you create more impact in your business and freedom in your life. When running a business, knowing what to focus on is half the battle. 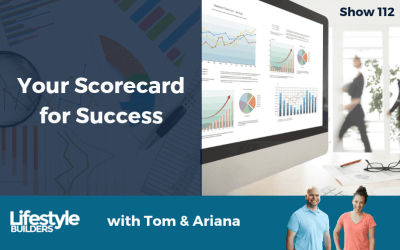 In this episode, we will introduce the concept of a scorecard and how you can use it to run your business. 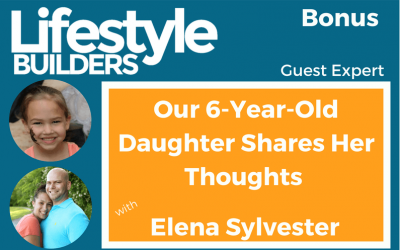 As parents & entrepreneurs, it can sometimes be easy to let the guilt of all the things you could be doing better overwhelm you. 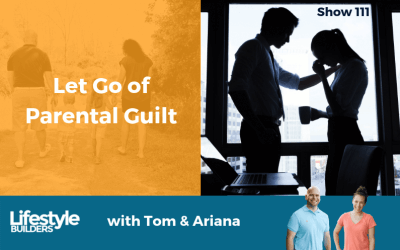 In today’s episode we’re going to talk about some of the common causes of parental guilt, and how to get rid of it! Leadership is a key piece of being an entrepreneur and growing a company. 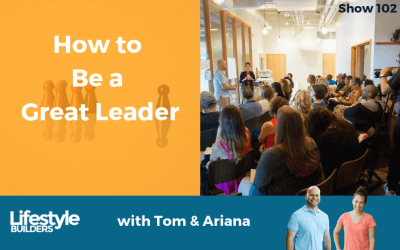 Join us as we discuss 3 ways to be a great leader. 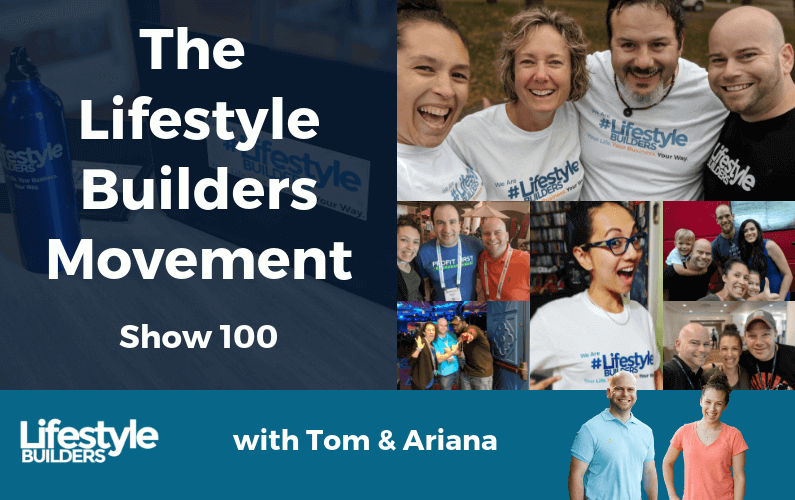 Lifestyle Builders is more than just a podcast; its a Movement! Join us as we share what it is, how it got started, where it is going, and how you can join. 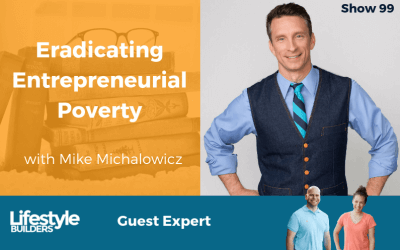 Entrepreneurial poverty is something that isn’t often discussed but causes so many entrepreneurs to struggle. Mike Michaelowitz joins us to discuss how to eradicate it. Entrepreneurs often struggle and get overwhelmed with everything that needs to get done. 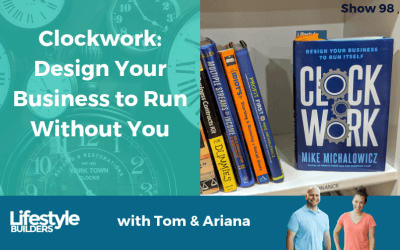 Join us as we share key takeaways from Mike Michalowicz’s Clockwork. 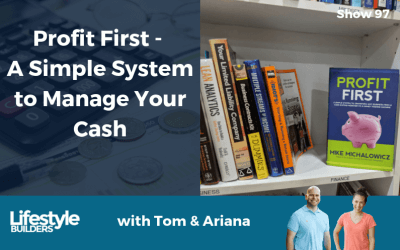 Profit First, created by Mike Michalowicz, is an amazing system for managing your cash flow in your business. Join us we discuss how to get started and use this system in your business. 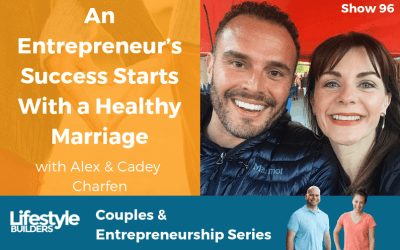 Entrepreneurs who are in relationships may see their spouse as holding them back, but Alex & Cadey Charfen discuss how success in business really starts with your relationship. 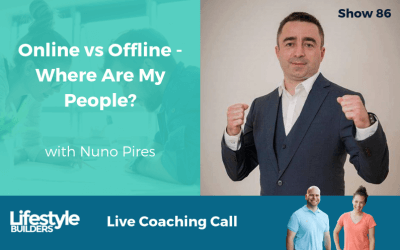 Hiring the right people is critical to growing your team and scaling your business, but most people struggle with it. 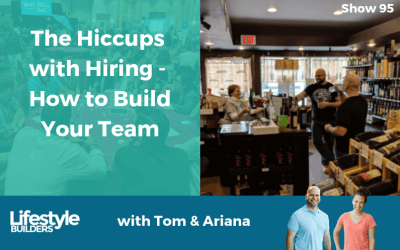 We discuss how to hire and build a great team. 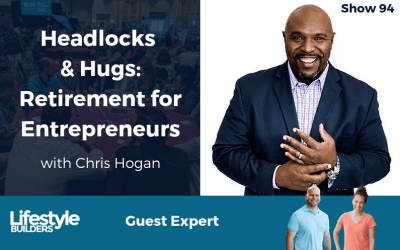 Chris Hogan, a Dave Ramsey personality, joins us today From FinCon 2018 to discuss retirement, taking care of personal finances, entrepreneurship, family and much more. 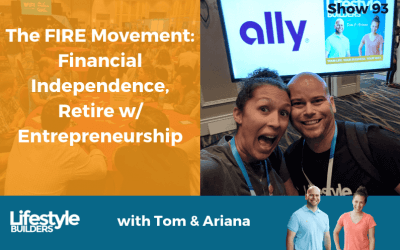 The FIRE Movement is focused on Financial Independence and Retiring Early. 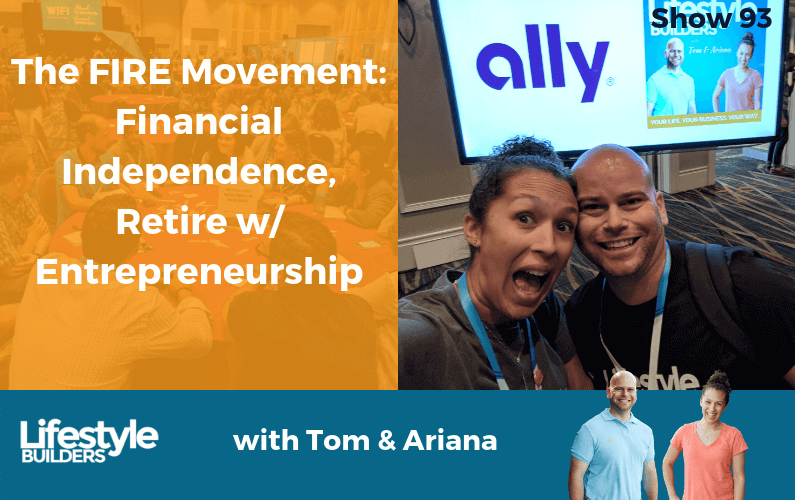 We discuss this movement and add our perspective on how entrepreneurship fits into it. 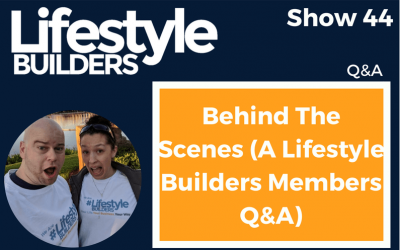 Join us for another behind the scenes look at a Q&A call with members of Lifestyle Builders. 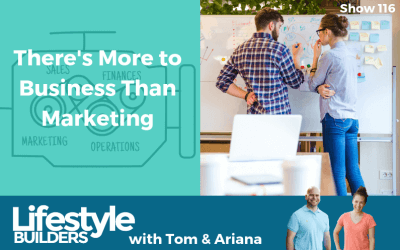 We answer and discuss various questions from marketing to selling to business structures (and more). 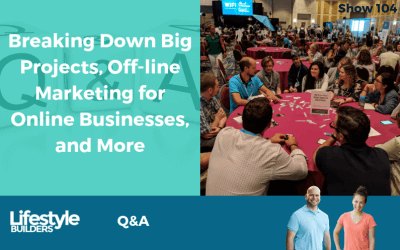 Conferences can have a big impact on your ability to grow your business, plus they have several other benefits. 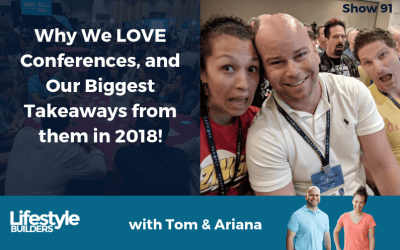 Hear what these our and our biggest takeaways from conferences. 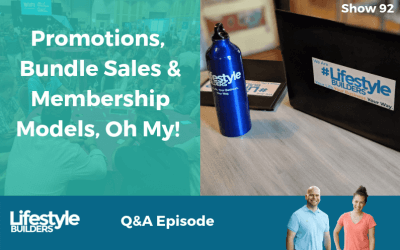 How do you sell in a way that doesn’t come off like a used car salesman, but instead truly helps your potential client? 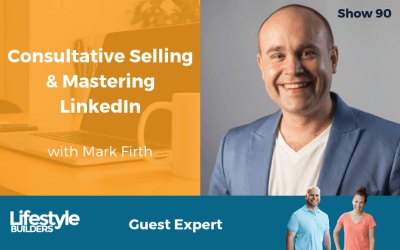 Mark Firth joins us to discuss selling and specifically LinkedIn. 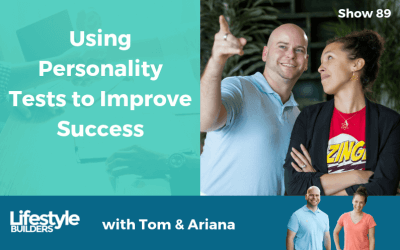 Personality tests let you better understand yourself and the people around you. 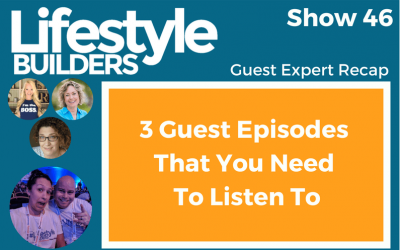 Listen in as we share some of our favorites and how taking them can help you succeed. How can you make sure that you are enjoying your life now while also working hard to achieve not only freedom, but also your big goals? Join us as we share how to do just that. 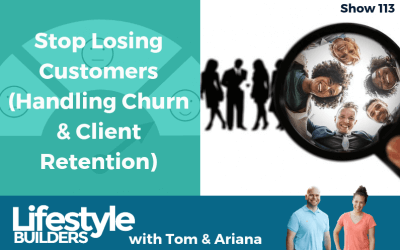 Once you’ve narrowed down who your ideal customer is, how do you find them? 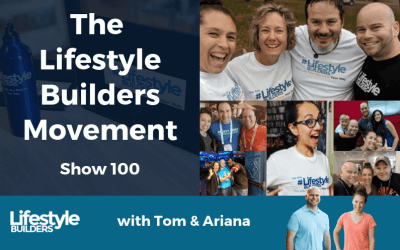 Join us as we help Lifestyle Builders Nuno Pires work through this challenge. Can a marriage counselor really help improve your marriage? 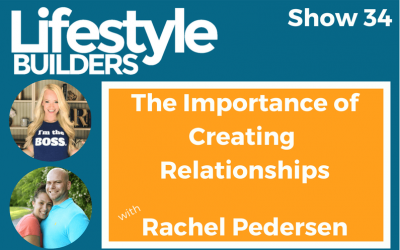 In this episode, we open up and share our vulnerable experiences from seeing a marriage therapist. 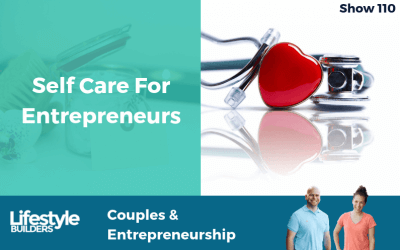 Having a rock solid relationship with your spouse is the foundation for not only a happy life, but a healthy business. 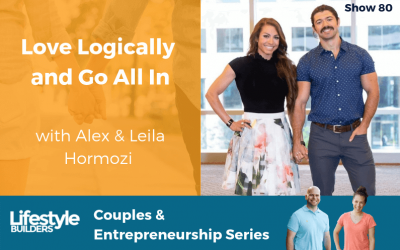 Stacey & Paul Martino join us to discuss how to make it a reality. After a month of KILLER interviews, we needed a good old roudup to tie up loose ends. 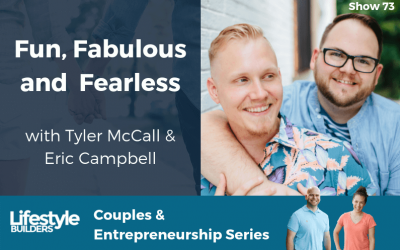 Join us and 4 of our awesome couples for some neverbefore heard GOLD! 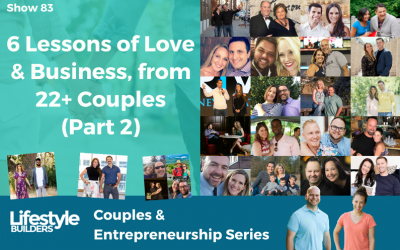 What does it look like when two people each have their own life and business, then fall in love and decide to partner in both life and business? 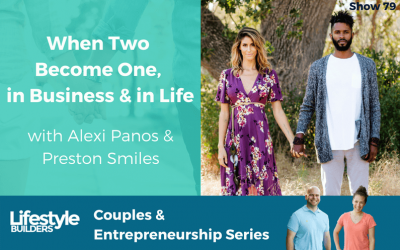 Alexi Panos and Preston Smiles chat on this very topic. There are many speed bumps on the journey to success, especially when some look like mountains. 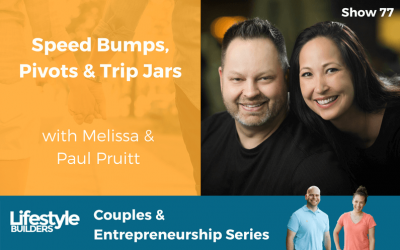 Melissa & Paul Pruitt join us to discuss happiness and building their ideal life. 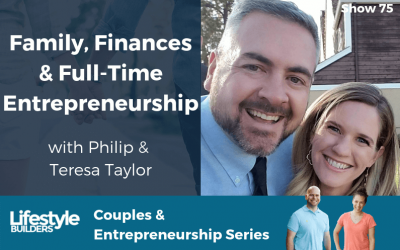 Managing your money in a smart way can make your life and business easier, especially when transitioning to full-time entrepreneurship. Philip “PT Money” & Teresa Taylor join us to discuss. 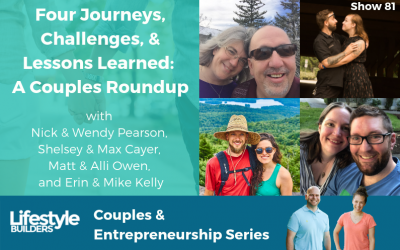 How do you navigate the entrepreneurial journey, including the highs and lows, while not letting your family fall apart? 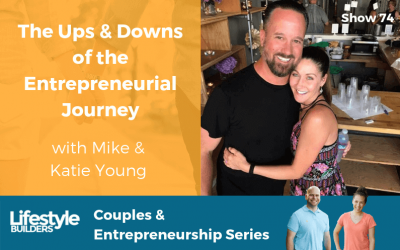 Mike and Katie Young join us to discuss. Can you really enjoy the entrepreneurship journey, even when things get rough? Guests Tyler and Eric show us how to enjoy everything that occurs as you build your ideal life. 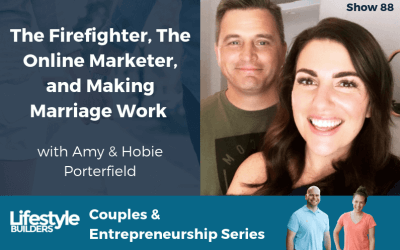 What happens when you marry an entrepreneur? 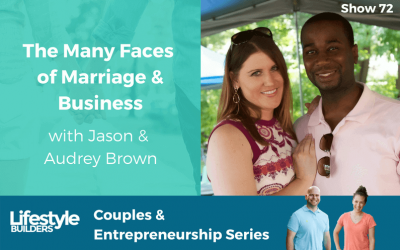 Jason and Audrey Brown join us to discuss the sacrifices required and lessons learned on their path to succeeding in life and business. 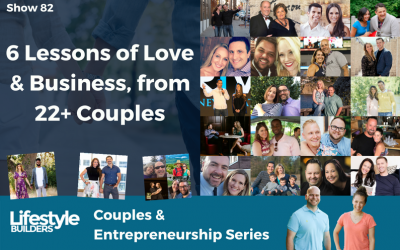 What happens when two children of entrepreneurs meet and decide to not only date, but also join forces in the business? Guests Tony Banta and Suzanne Mattern discuss this with us. How do you get your spouse on board to pay off debt, start a business, and build your ideal lifestyle? 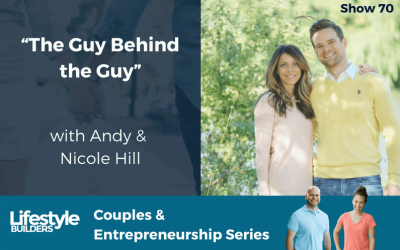 Guests Andy & Nicole Hill discuss the journey of Money, Kids, and Marriage. What does it look like when you flip your life upside down and go against the grain? 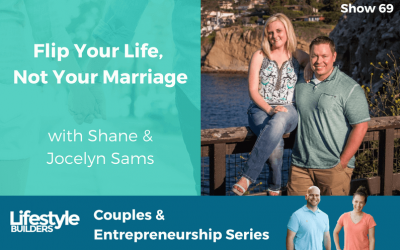 Shane & Jocelyn Sams of FlippedLifestyle are joining us to discuss. What does it look like with an accident not only pushes your life forward, but allows both you and your spouse to leave your jobs? Special guests Marley and Wayne share their story. 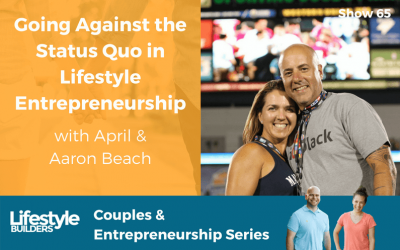 What does it take to go against the status quo and become a lifestyle entrepreneur who lives with purpose? That’s exactly what we discuss on this episode with April & Aaron Beach. What does it take to not only build your business fast, but to do it while both you and your spouse leave their jobs and raise 3 kids? 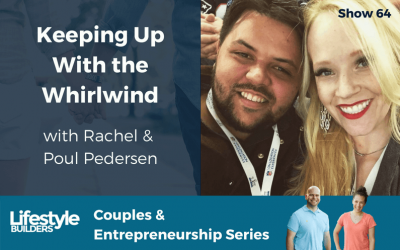 Let’s hear from Rachel & Poul Pedersen on this. 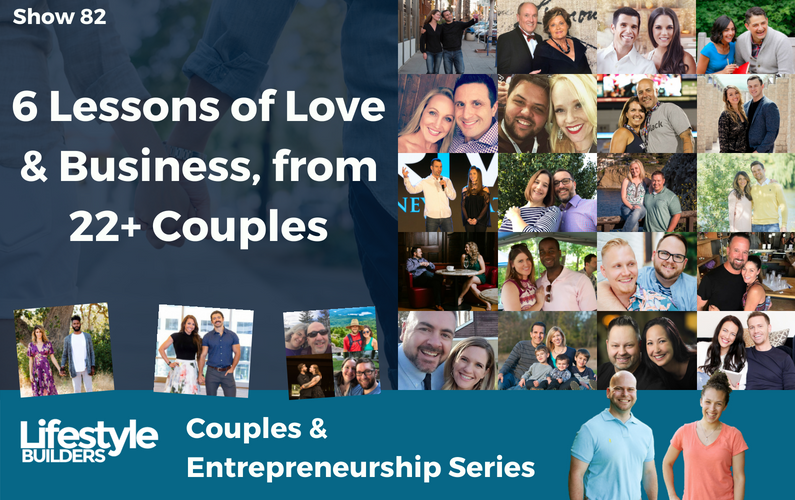 It takes a lot of work to build a marriage, grow several successful businesses, and raise some amazing kids. 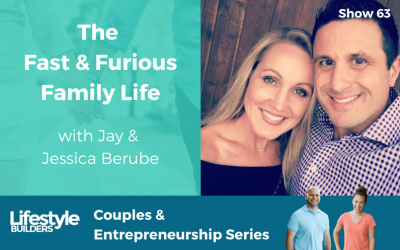 We chat with guests Jay & Jessica Berube on this very topic. 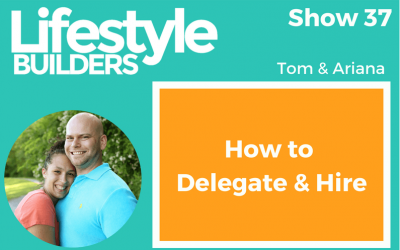 Have you ever felt stuck on the corporate hamster wheel? 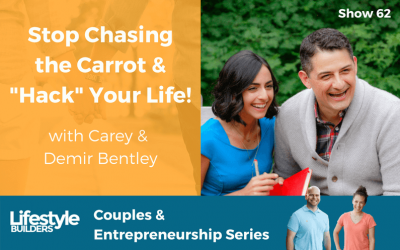 Listen in on how guests Demir & Carey Bentley were there and decided to make a change and design their ideal life. 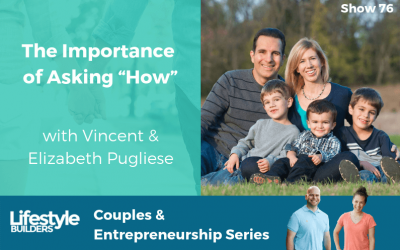 How do you create a successful business when your spouse isn’t on board and you are trying to raise 3 kids? 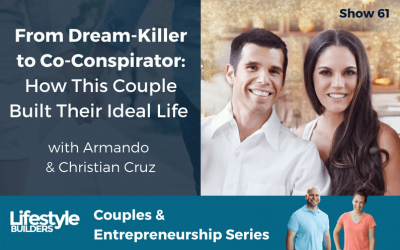 Armando & Christian Cruz share their story and strategies. 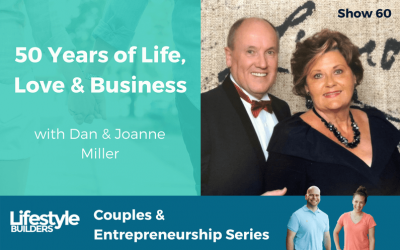 What does it take to not only build a successful business, but also a successful like and marriage of 50 years? Dan Miller & his wife Joanne join us today to share their secrets. 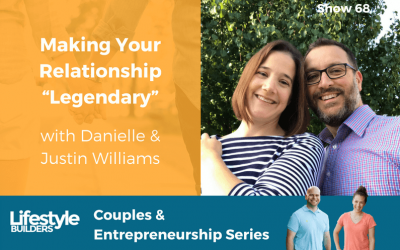 What happens when you are running a successful business and you invite your spouse to join? 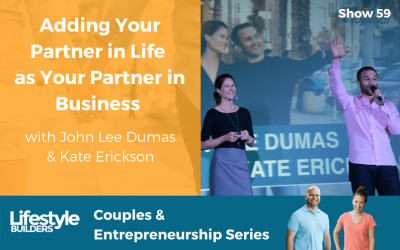 John Lee Dumas & Kate Erickson share their experience as they partner on Entrepreneurs on Fire. 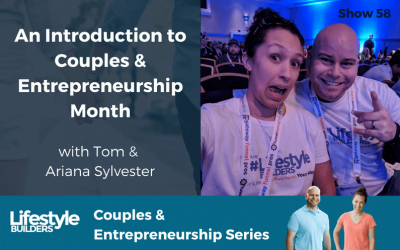 An Introduction to Couples & Entrepreneurship Month! 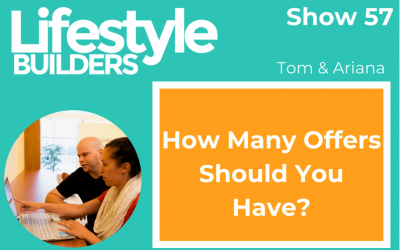 Should you focus on a single offer, or create multiple? It’s a question many entrepreneurs have. 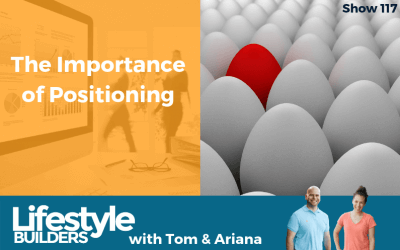 In this episode, we will share our perspective on this question and discuss pros/cons to both approaches. 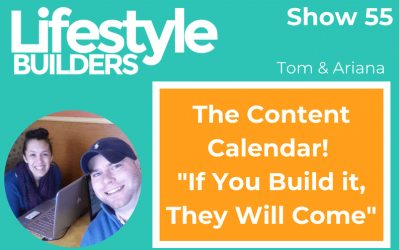 If you are creating content for your business, then a content calendar is critical. But most struggle to implement it effectively. 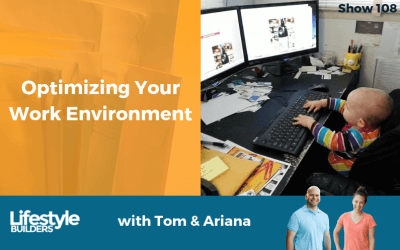 In today’s episode, we explain how and why to use a content calendar. 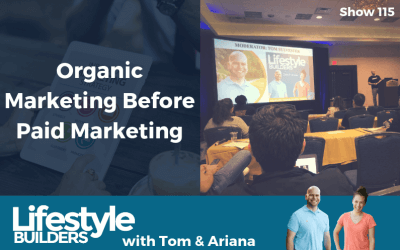 Content marketing is a great strategy to use in your business, but it is very easy to get overwhelmed and have it pull you away from other aspects of your business. 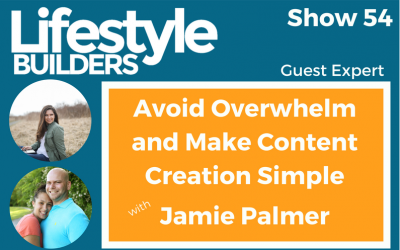 In this episode, we discuss effective and efficient strategies for content marketing with Jamie Palmer. Knowing who your ideal customer isn’t always enough. You need to also understand their journey to becoming a customer. In this episode, we share how to discover your customer’s journey. 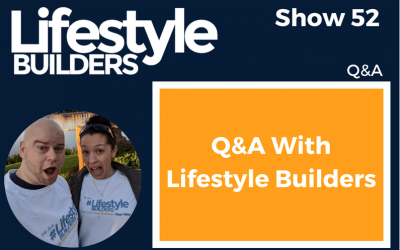 In this episode, we share another Q&A from our Lifestyle Builder members. 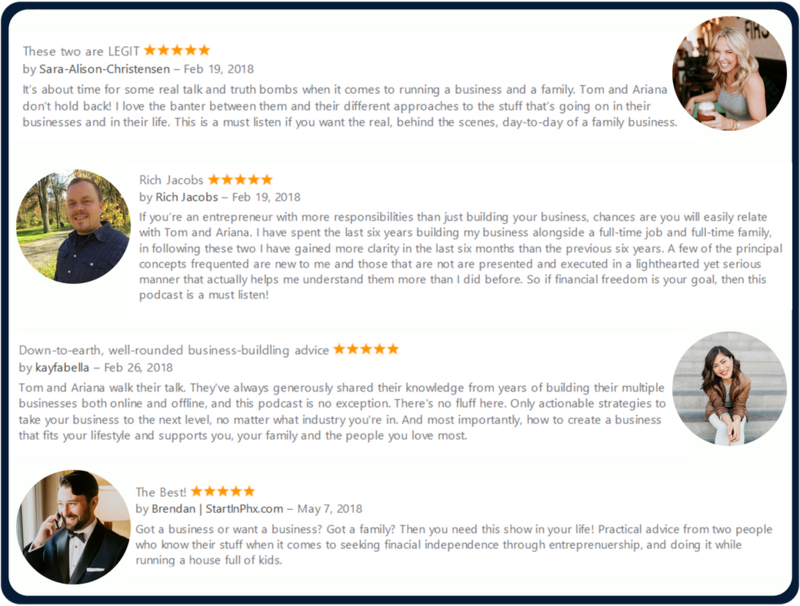 This is a recording of a weekly live Q&A call that we do with our members, answering their business and life questions. Most businesses don’t truly understand their customer, which is why they are struggling. 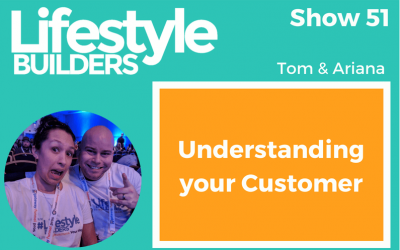 In this episode, we walk through how to clarify and own your customer. Many entrepreneurs struggle to build a loyal tribe that they can serve who will buy their products. 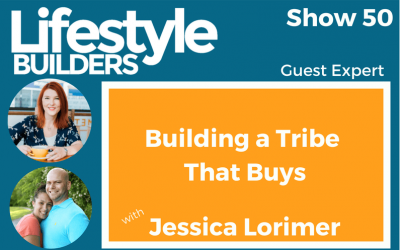 In today’s episode, guest and sales expert Jessica Lorimer helps us understand how to do just that. 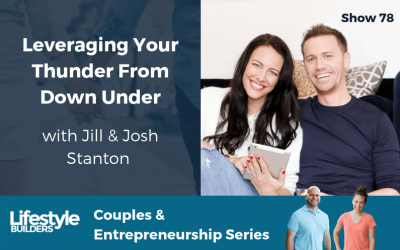 Working with your spouse can be AMAZING, but it can also add additional challenges and stress to your relationship. 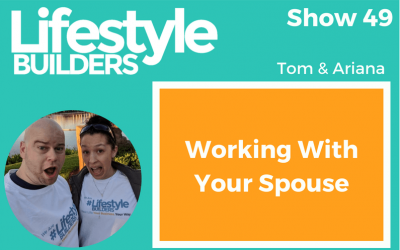 In this episode, we are discussing how to work with your spouse WITHOUT killing each other. Managing a side business can be a challenge when you have a full-time job. And learning to sell can be one of the biggest challenges. 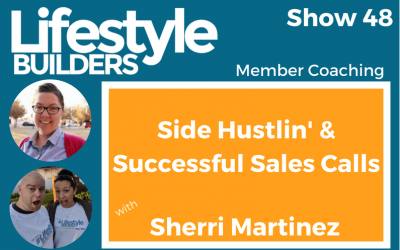 In this episode we chat with Lifestyle Builder Sherri Martinez about both of these. Planning is CRITICAL to your success, but so many businesses get it wrong. 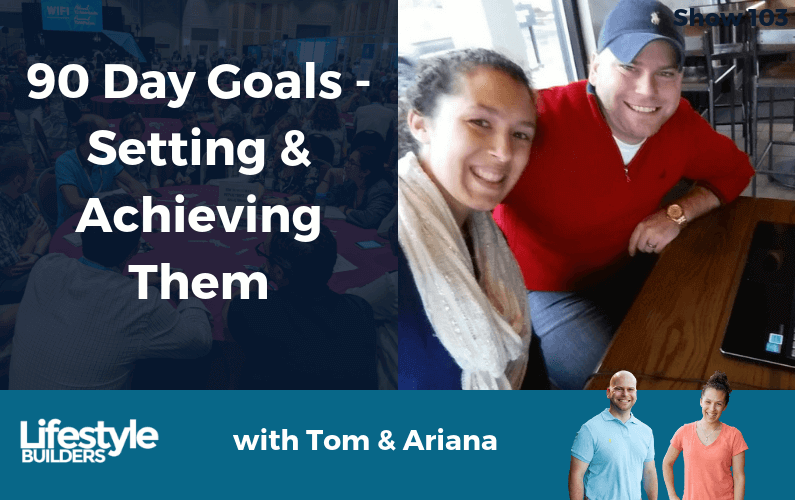 In this episode, we discuss how to plan to achieve more success. 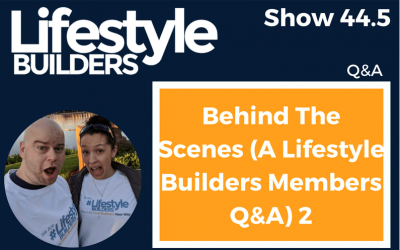 In this Q&A Episode, we we’re taking one of our live Q&A sessions with our Lifestyle Builders and giving you a peek behind the scenes! It can be easy to fall into the trap of continuing to learn but not taking action on what you learn. In this episode, we are going to share a few simple strategies to turn your learning into results. Do you have to quit your job to be an entrepreneur? 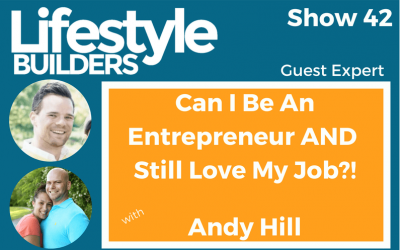 Today we chat with guest Andy Hill about how and why he is building his side-business with no plans to quit his job. There are many times as an entrepreneur who you get stuck and things aren’t working. In this episode, we will discuss some strategies to help get you unstuck. Leaving a job and starting a business can be tough. 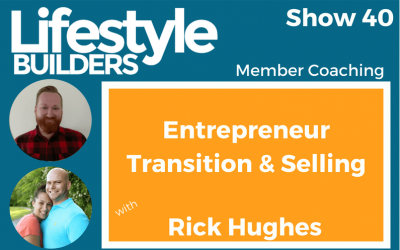 In this episode, we bring Lifestyle Builders Rick Hughes on to help him make the transition to entrepreneur and how to brand and market his custom knife business. Being productive starts one day at a time. In this episode, we cover some strategies for how to schedule your day to be productive and get everything done. Success and happiness often comes down to more than just being successful yourself, but also includes your legacy. 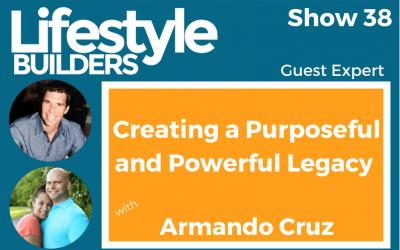 In this episode, we dive deep into this topic with guest Armando Cruz. As your business grows, it is essential to start building a team. In this episode, we will share why and how to start growing a team and how to create a great company culture. 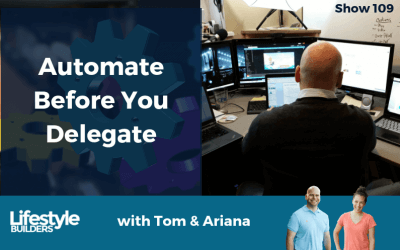 Having good processes and systems are CRITICAL to allowing your business to grow and scale. In this episode, we discuss some of the benefits and walk you through how to get started creating processes today. 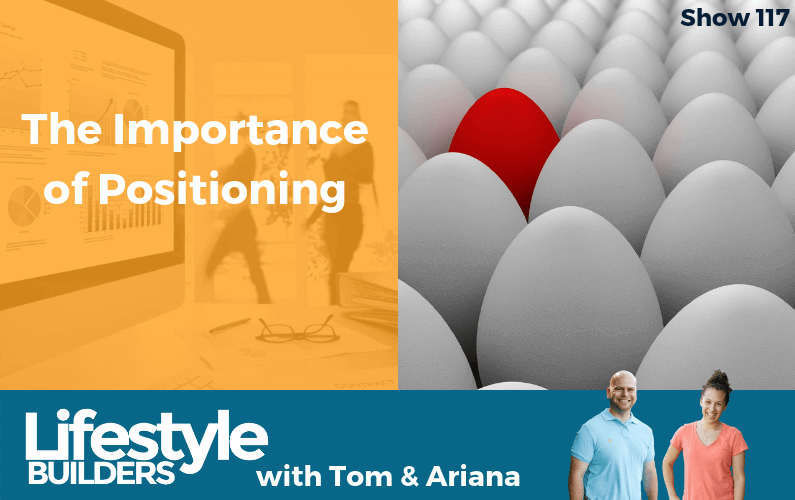 Pivoting your business in a new direction can be challenging. 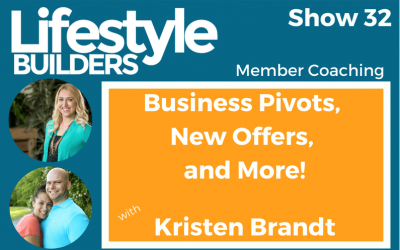 Today we bring Lifestyle Builder Kristen Brandt on to discuss her pivot, introducing new offers, and many other things related to growing her web design business. Doing your taxes is not just a necessary evil, but by using some tax strategies, you can actually bring home a lot of additional money. 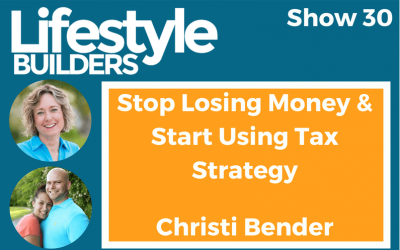 In today’s episode, guest expert and tax strategist Christi Bender shares many great strategies for how to save (and make) more money. 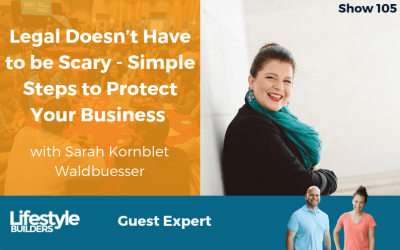 Don’t let fear of money cause you to lose money and add stress to your business. In this episode, will help you understand your business finances, avoid common money problems, and establish good money habits. We answer 3 questions submitted from listeners, including hiring vs. doing it yourself, how budgets can create freedom, and how much to invest into your personal and business development. How does your family handle money? It’s one of the biggest reasons for disputes in relationships. In this episode we chat about personal finances, and how to talk to your spouse & kids about money. You will often hear that you need to work on your “money mindset”. Today we bust this myth with guest Heather Gray, and also discuss what it means to be the boss of your own business. Having personal debt can be a major barrier to achieving financial freedom. In this episode, we walk you through a simple 7 step process to pay off your debt. 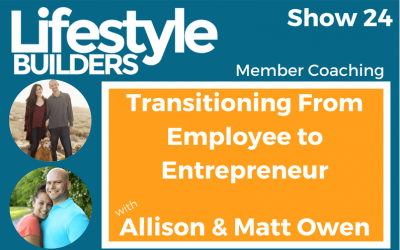 Today we have Lifestyle Builders Allison & Matt Owen. 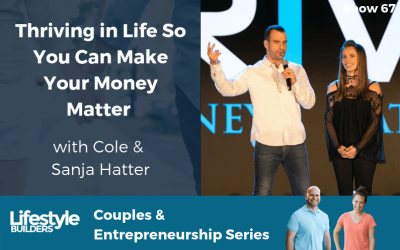 They both just left their six-figure jobs to build their businesses and travel the country, so we help with make the transition to full-time entrepreneurship. The word “coach” is thrown around a lot in the business world. What does business coaching actually mean, and what are the results hiring one can have in your business? We explore the different reasons, roles and how to know if you’re ready! 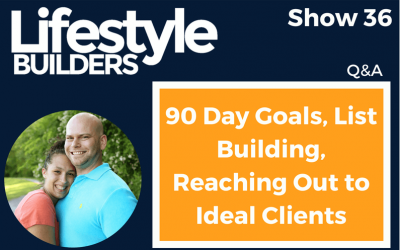 Real estate investing is one of the many great ways to create your ideal life. 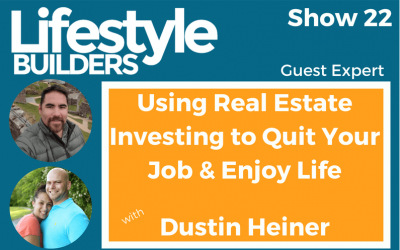 Today, Dustin Heiner joins us to discuss how to use real estate investing to build your ideal lifestyle. There are so many things that can get in the way of you taking action on your business idea. Which of these is holding you back? Join us as we discuss common roadblocks, and how to overcome them. In this special bonus episode, we invite out 6 year old daughter onto the show. We ask her various questions about her views on us and what we do, her views on money, and her perspective on herself. There are many pitfalls that come when starting a business. In this episode, we talk through 7 that you should seek to avoid. Messenger bots are all the rage in the marketing world right now, and they get a lot of bad press when used with the wrong intentions. 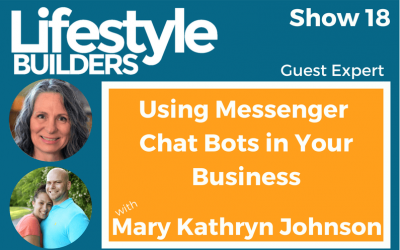 Learn the secret to creating an adventure for your customers with messenger bots in your business! Entrepreneurs must be able to identify opportunities and take action, even in the face of fear and uncertainty. 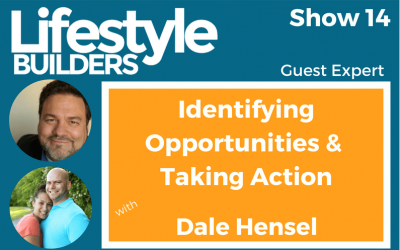 Dale Hensel, serial entrepreneur, investor and rainmaker, joins us to share his experience in these areas. Working from home with kids can be a challenge. Should you get a nanny? Send them to daycare? 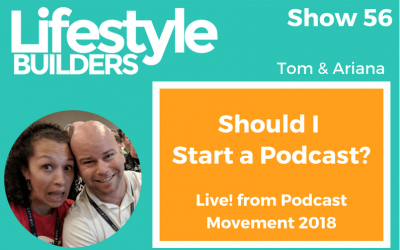 In this episode, we explore the various options and the pros/cons of each. We answer 3 questions from listeners. How to launch a new planner? Where to focus effort during busy times in business? 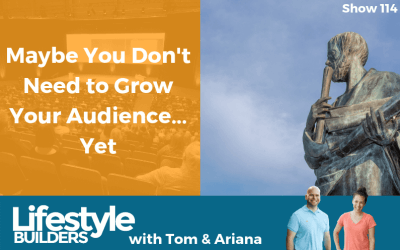 Should you grow an e-mail list before launching your first course? Passion vs. 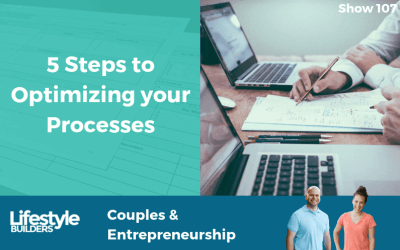 Practical: Which Type of Business Should You Start? Should you start a passion business or a practical business? Most people tell you passion, but is that always right? We dive in and discuss the pros and cons of each approach to business. Tools can make your business so much easier to run, but there are a lot of options out there. 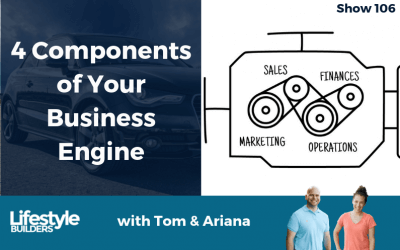 In this episode, we walk through some of the main tools that we use to run our 3 businesses. There is no doubt that you will need to invest in both yourself and your business to grow and succeed. 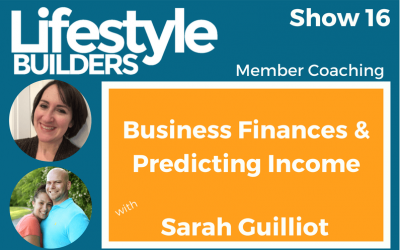 In this episode, we discuss why you need to invest and provide some different investments that you can make depending on where you are at on your journey. Having the right mindset is a key piece to achieving success as an entrepreneur. In this episode, we discuss some of the mindsets which holding entrepreneurs back from success and some strategies to shift them. 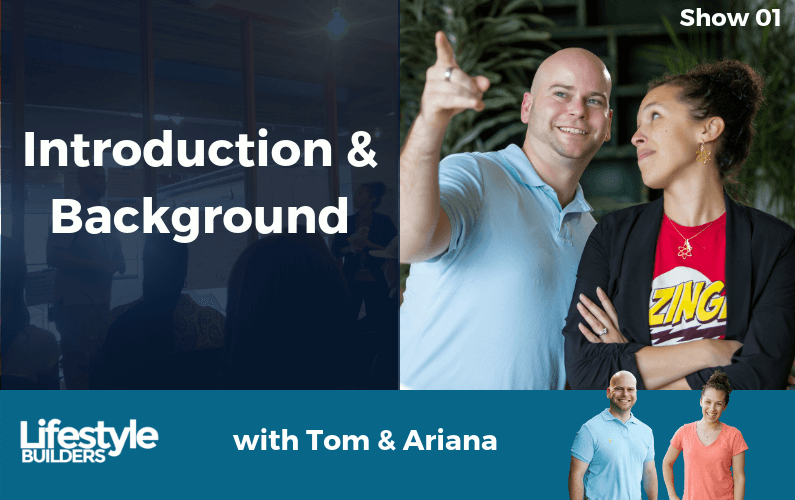 In this episode, we “re-introduce” ourselves after a long hiatus from our last show as the hosts of the Serial Startups podcast. We give you the low down on who we are, what’s changed for us over the past 2 years (a new brand and a new community), what to expect from the show and upcoming episodes, and some you important insights into our beginnings.